Newsflash: Kids are expensive. Entertaining them is no exception. And while kids can eat free at many restaurant chains across the country, parents know all too well that a lot of family-friendly activities outside of mealtime come with a hefty price tag. If your budget is small and your kid is bored with the same old playground, don't fret — there are still lots of free things for kids to do, often in places you might not think to look. Sure, you can scroll through Netflix and other streaming services for the latest family favorite, but going to the theater makes movie time a lot more special — especially if it's free. Look for free and ultra-cheap movie screenings in the summer, when boredom and heat make them an especially great deal. Many communities and park districts offer outdoor summer movies — you just bring a blanket to stretch out on. - Regal has a Summer Movie Express series that invites families to enjoy a movie on Tuesday and Wednesday mornings. Admission is just $1. Past choices have included "The LEGO Batman Movie," "Trolls," and "The Secret Life of Pets." - Cinemark has also offered $1 summer movies for kids — that's close enough to free, right? Even better, you can get into 10 movies like "Captain Underpants" or "Boss Baby" for just $5. - Phoenix Theatres shows G- and PG-rated movies on Tuesdays, Wednesdays, and Thursdays throughout the summer. Special deals on kids' meals are available. - Marquee Cinema offers free summer kids' flicks. Movies, dates and times vary by location. 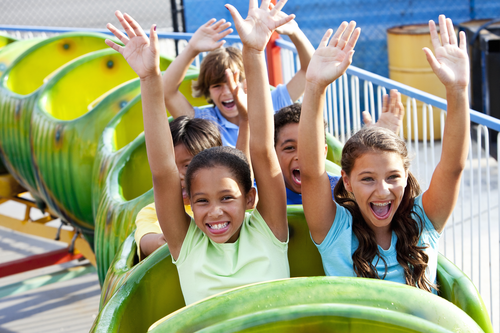 Theme parks are a kid favorite, but every parent knows they can be a budget-buster. While free kids' admission is a pie-in-the-sky fantasy at most theme parks, eagle-eyed parents should watch for child-specific deals throughout the year. 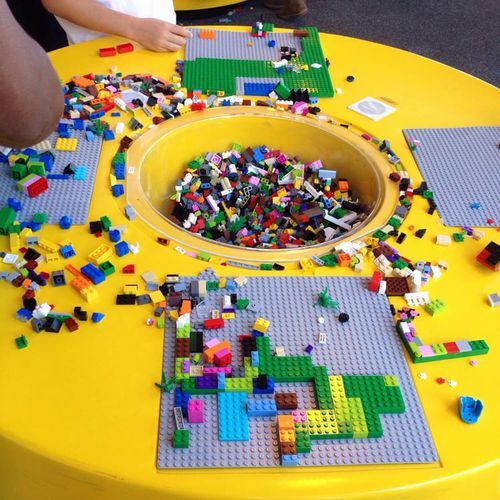 - Kids can get in free with a paid adult at LEGOLAND in California or Florida through a promotion sponsored by Honest Kids. - Got a reluctant reader? A day at Six Flags may be all the motivation they need. The Six Flags Read to Succeed Program will help them earn a free ticket after they complete six hours of recreational reading. Kids in kindergarten through sixth grade are eligible. - Cedar Point in Sandusky, Ohio as well as other Cedar Fair-owned parks across the country including Worlds of Fun in Kansas City and Carowinds in Charlotte, N.C.
- During the summer, kids can get out of the heat and bowl for free across the country with two free games every day. - Even the notoriously pricey sport of skiing can be free (or at least a whole lot cheaper) if parents take advantage of various promotions at resorts across the U.S.
- If your kiddo would like to try something a little less traditional, you're in luck: Kids can roller skate for free at local skating centers around the country all year. Many parents complain that the cost of organized kids' sports is out of control. We agree — but it turns out your kiddo can dabble in several of them without forcing you to cough up any ridiculous registration or equipment fees. - Lucky New York City kids can try their hand at free tennis, free golf, free track and field, free soccer, and free street hockey through summer lessons and camps offered by CityParks Play. Remember to check out local recreation centers and park districts for cheaper sports leagues or free one-off sporting events and activities. Options in our area include free kids' yoga, guided hikes, and family game nights that include classics like dodgeball and capture the flag. First, the bad news: Children's museums are usually pricey. If you're set on getting in without coughing up any cash, check to see whether your local museum will be having any free-admission days throughout the year (Target promotes several around the country). Just be prepared to battle the crowds. Now, the good news: Plenty of other museums are a bargain. If you've skipped the local art museum because you think it's not for kids, it's time to take another look — especially since many offer kids free admission. Today, many have kids' areas where little ones can explore and create without anyone hissing at them to quiet down, and most host special kids' programming, too. - At the venerable Met in New York City, kids under 12 are always free. A special family guide can turn a trip through the museum into a fun hunt for details. - At the Art Institute of Chicago kids under 13 get in free. Drop in at a hands-on artist's studio to work on a project at any time. 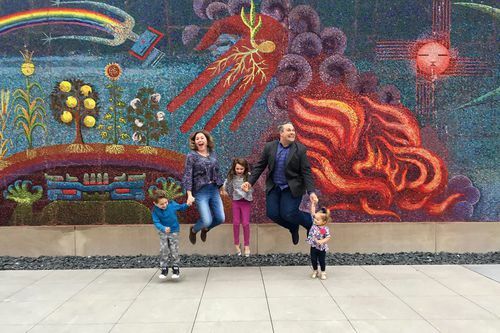 - The Dallas Museum of Art is free for everyone every day, though some family-focused events have small admissions charges. Free family totes encourage a more interactive look at the museum's exhibits. If your kid is more of a scientist than an artist, be sure to check out local science and natural history museums for free or reduced kid's admission. - The California Science Center's permanent exhibits are free for everyone, not just little ones. Explore the world's different ecosystems, build towers, or let smaller kids romp in themed discovery rooms. - Your tax dollars pay your admission to the Smithsonian National Museum of Natural History in Washington, so enjoy gawking at dinosaur bones and even the world-famous Hope Diamond without paying a cent. Don't overlook transportation as a theme, either. There are plenty of places where kids can appreciate all the things that go without a hefty admission fee. - There's the venerable Smithsonian National Air and Space Museum also in D.C. Kids can feel the thrill of the moon landing or experiment in a hands-on gallery explaining how things fly. - Budding pilots will get a kick out of the National Museum of the United States Air Force in Ohio — you'll only pay for optional flight simulators or movies. - Train lovers can explore Pennsylvania's Steamtown National Historic Site for free, or hop aboard the little yellow train at Rappahannock Railroad Museum in Virginia. - The Smithsonian's National Zoo in Washington. Big bonus: It has pandas, always a kid-pleaser. 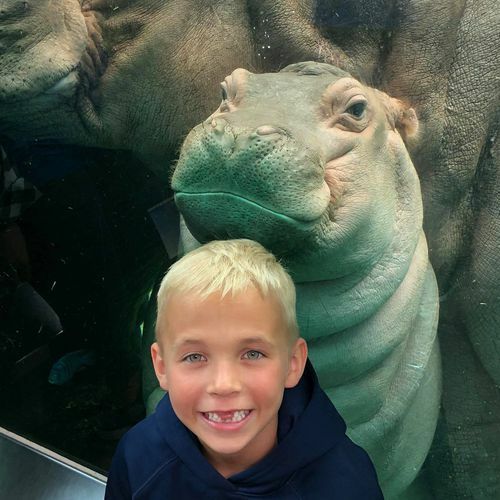 - The Saint Louis Zoo, which has been voted both the best zoo in the country and the top free attraction in the U.S.
- The Lincoln Park Zoo in Chicago, which includes a farm area with play stations and a children's zoo with a play forest and an indoor climber. If you aren't near one of those biggies, watch your local zoo for promotions that allow kids in free on certain days. For instance, the world-class San Diego Zoo is free for kids in October. - Irvine Nature Center outside Baltimore has more than 200 acres of woodlands, wetlands, and meadows to explore, plus an exhibit hall with plenty of interactive activities. - Ijams Nature Center in Knoxville, Tenn. Kids can say hi to "animal ambassadors" at the Visitor Center, hike, mountain bike, or claim their own fairy house in a natural playscape. An oldie but goodie, free story times might be the most common but overlooked kid's activity. Your local library is almost guaranteed to host at least one story time for younger kids during the week, but bigger library systems typically have a lot of story times to choose from, often broken down by age groups. If you have an older bookworm, look for free after-school reading groups. - You'll find free story times nationwide at Barnes and Noble on Saturdays, and older kids can look out for a "Book Hangout" series there aimed at ages 6 to 12. - At Strand Books in New York City, weekend story times even feature crafts with kids' favorite characters, like Curious George or the Cat in the Hat. - Check your local Disney Store for weekly interactive story times featuring your favorite characters. - Pottery Barn Kids hosts free story times every Tuesday, and offers a surprise for book-club members who attend five times. There's nothing more fascinating than getting to peek behind the scenes and see how everyday products are made, especially for kids. The best part? These tours are often free for kids — and sometimes, grown-ups, too. - Sweets are always a hit with the little ones, so check out the Ben & Jerry's tour in Vermont, which is free for kids under 12. Yes, everyone gets ice cream at the end. 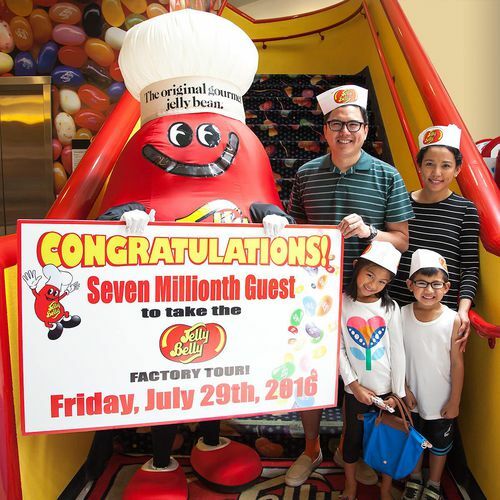 - The Jelly Belly tour in Fairfield, California, is free for both kids and grown-ups. - In the mood for something a little saltier? The Utz "Chip Trip" Tour in Hanover, Pennsylvania, is free for everyone, as is the Snyder's Pretzel bakery tour — they're even in the same town. - Car enthusiasts will love getting a close-up look at how Toyotas are made in Kentucky. The tour is free for everyone but should be reserved in advance. - Little ones can squeal as teddy bears come to life at Vermont Teddy Bear. The tour is free for kids under 12. - Sports fans can watch wooden bats being made at BWP Bats in Pennsylvania for free, and admission is free for kids under 5 at the more well-known Louisville Slugger Factory in Kentucky. Shopping with kids is usually the furthest thing from free (or pleasant, for that matter), but some stores cater to their youngest customers with organized activities that won't cost parents a dime. - Home Depot hosts free workshops for the future DIY set on select Saturdays, and kids get to take home their project, an apron, a certificate, and a pin. Previous projects have included bird houses, wooden helicopters, holiday ornaments, tool boxes, and picture frames. - Lakeshore Learning offers a free craft project every Saturday for kids ages 3 and up. - Michael's offers a mix of free and low-cost craft classes on weekends for a range of age groups and skill levels. - If you've got a Disney fan, check out the local Disney store for free holiday celebrations, movies, and more. - Lego lovers can reserve a free spot in a monthly Mini Model Build at Lego stores around the country. - Young techies should watch for Apple Camp, a free series of three workshops held over the summer at local Apple stores. Letting your child volunteer won't just fill the hours — it will instill some important life lessons early on. While it's harder to find volunteer opportunities for kids than adults, don't let that dissuade you. Start by searching VolunteerMatch for local groups that are willing to work with children. In our area, for instance, kids can assemble bagged lunches for shelter residents or mentor younger children who come from impoverished families. If you have a teen, they'll have a lot more opportunities to get involved. Animal shelters, museums, food banks and nursing homes are among the places that often accept teen volunteers. Again, search VolunteerMatch for specific groups in your area. Teens in our area can lead projects at a local science museum, tend gardens at the Ronald McDonald House, and spend time with hospice patients, among many other opportunities. If your children have exhausted their DVD and video game libraries, try these fun, cheap activities for kids.